The New 422L is like having 2 swinging Lounge Chairs. 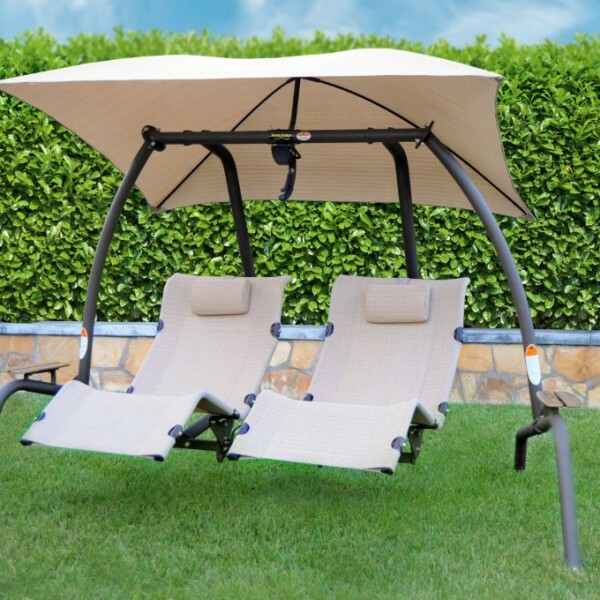 You can sit-up and rock like a traditional swing or recline back and swing yourself to sleep. 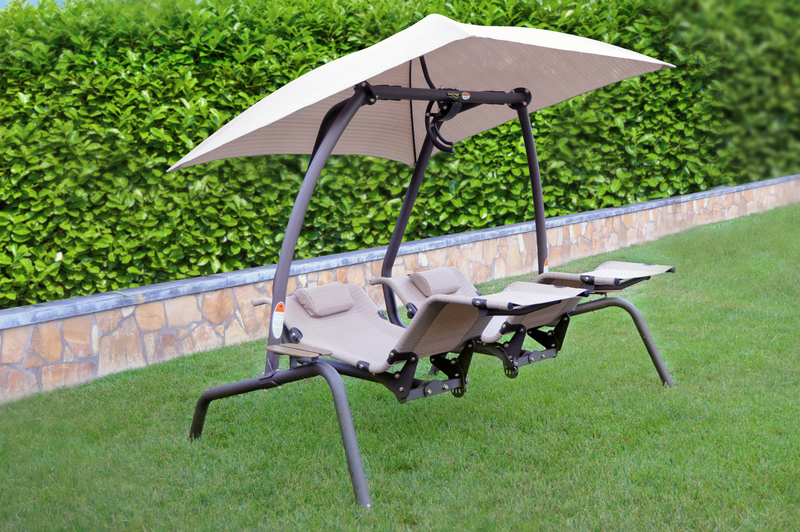 The 422L is our two person dual reclining swing. 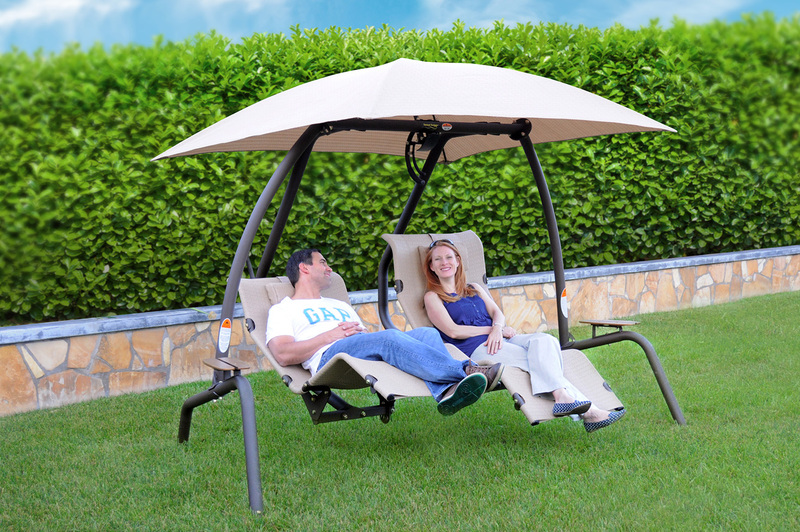 This Zero Gravity Swing allows you to sit next to each other, but swing at your own pace. 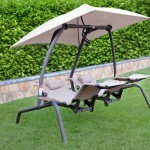 It also comes with two side tables so you can use it as a 2 person patio set. Feel the Difference! Pendulum swings provide a calm and relaxing motion. 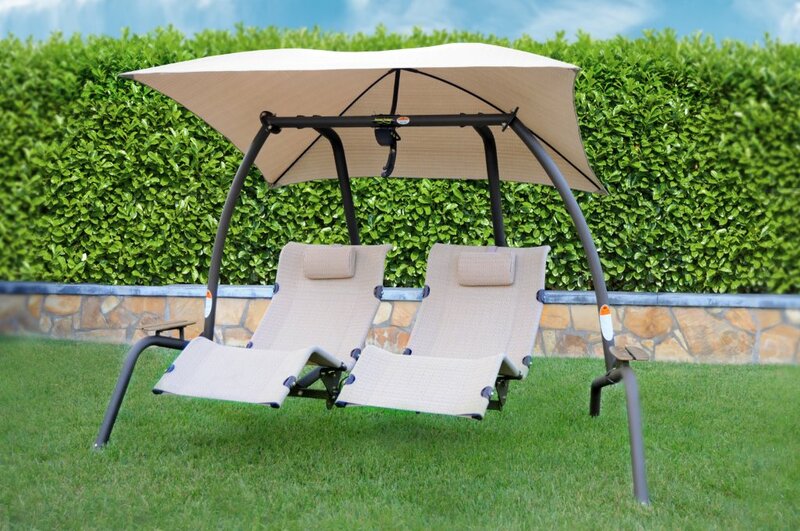 Total Comfort swings have a solid frame, which provides a secure movement without lateral motion. Seats 2 people. Swing Specs: Seats 2 people. Frame: Heavy-duty 2.5" round, 11-gauge tubular steel. Powder Coated Finish: The Polyester Electrostatic Resin Powder Coat offers a durable, low maintenance finish. Parts: Hardware consists of 1/2" anti-rust coated bolts. Seats: Made from a breathable PVC fabric, contoured for maximum comfort. Adjustable to four positions. 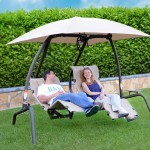 Included Canopy: The 6' x 7' canopy is also made from breathable PVC fabric which is 80% UV resistant. Dimensions: Length 114", Width 80", Maximum Height 88".